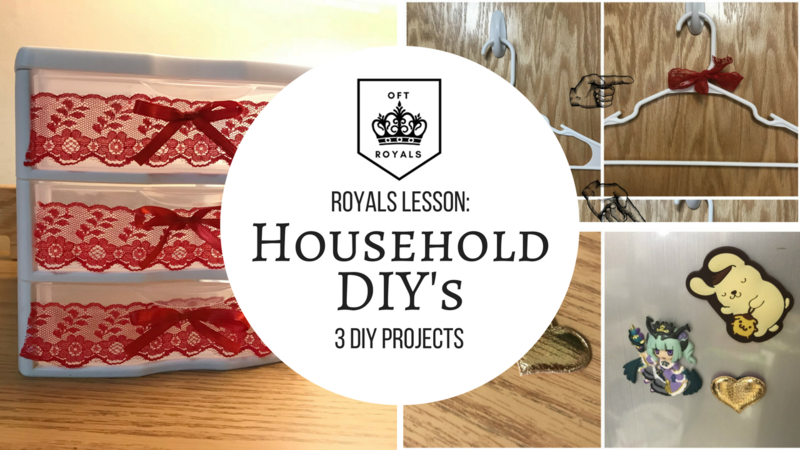 Royally Cute Household DIY's - 3 DIY Projects to Make Your Household Cuter! - Royals Lesson! Ciao Royals! Today's lesson is a fun crafty one- 3 DIY projects to make ordinary stuff cute! This DIY is very simple. 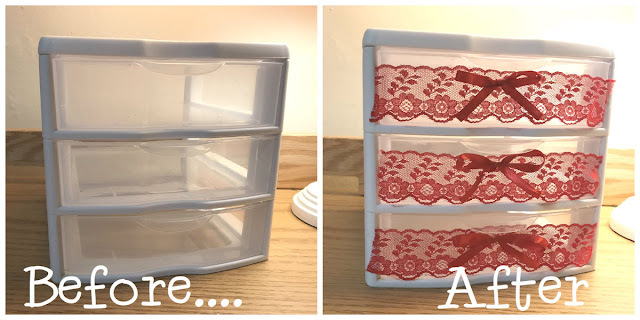 All you need is plain desk drawers (you can get these at Walmart or Staples) and some lace, ribbon, and hot glue. Glue the lace on first, then tie 3 ribbon bows and glue them on as well. And done! This DIY is super easy and looks really elegant, fancy and cute! Nobody wants boring hangers right? So let's decorate them, three ways! 3. You can tie on a small cute charm, here I opted for an emoji. 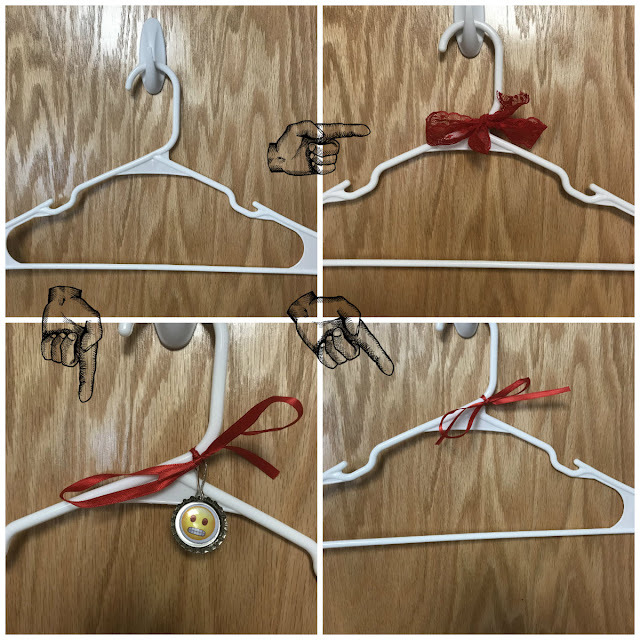 If you want them to be a little more secure, you can hot glue the bows onto the hanger. 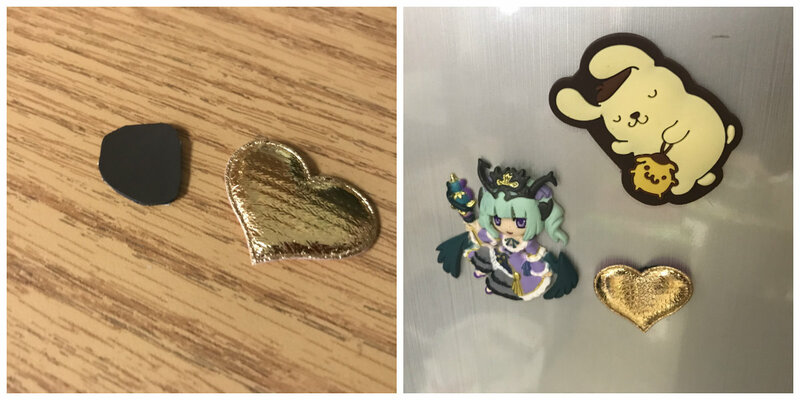 DIY #3- Make Your Own Magnets! All you need for this is some magnetic tape and a small item (I'm using a little heart plush confetti). Adding a bunch of cute magnets to your fridge can turn it from boring to cute! Thanks for reading! Let me know if you try any of these DIY's! If you do, use #OFTreaders so we can see your awesome DIY skills!